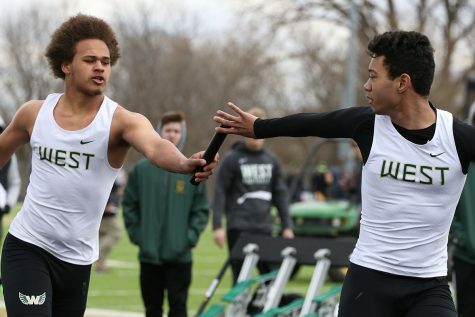 West High hosted the first annual Eastern Iowa Track and Field Festival on Saturday, April 6. 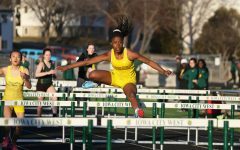 The Eastern Iowa Track and Field Festival was held at West High on Saturday, April 6. 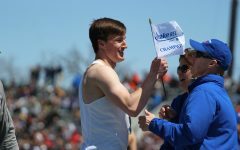 With an emphasis on qualifying for the Drake Relays, the meet did not disappoint. 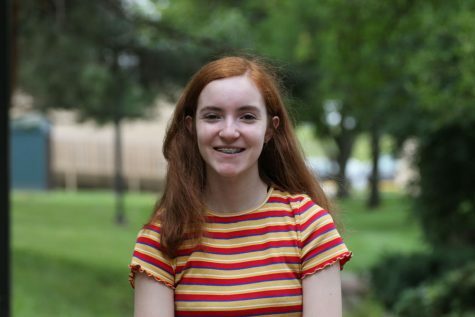 20 athletes achieved the Drake Relays Blue Standard including West High’s Kolby Greiner ’19 in the 3,200 meter run, Peyton Steva ’19 in the 100 meter hurdles and the quartet of Amy Liao ’21, Katie Severt ’19, Matayia Tellis ’21 and Steva in the 4×100 meter relay. 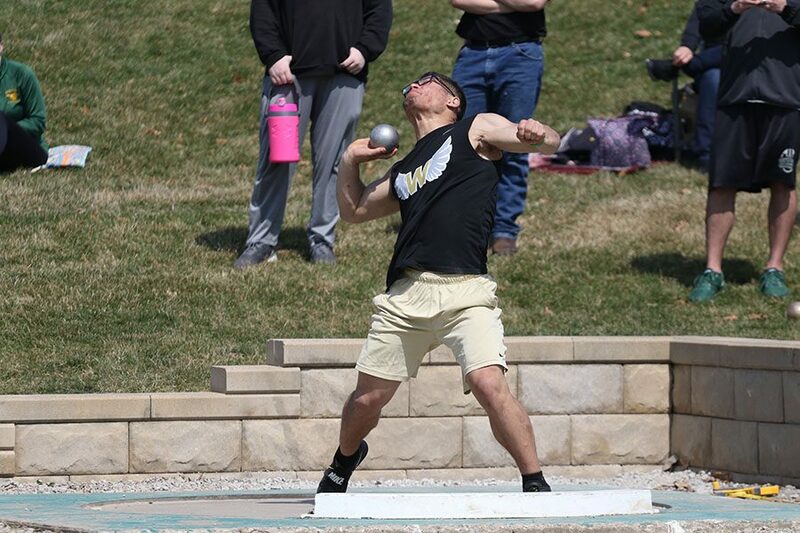 Landon Green '19 throws the shot put on Saturday, April 6. Green won the shot put competition with a throw of 53-10.00. 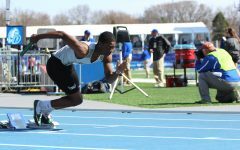 He also placed fourth in discus with a throw of 149-08 and ran the last leg of the sixth place 4x100 meter relay.